Whenever I am asked about Bohol tourist spots, I would highly recommend the island-province’s centuries-old coral stone churches. Baclayon Church, for example, had been built in 1727, and its dark gray façade, gilded altars, and colorful murals inside make it one of the most beautiful and oldest churches in the Philippines that had survived numerous natural and man-made disasters. That is, until the 7.2 magnitude earthquake on October 15th, 2013, which left it and other cultural and heritage sites in the province severely damaged and in some cases, completely destroyed. None of the National Cultural Treasures (the churches of Baclayon, Loboc, Loon, and Maribojoc) survived intact. Fortunately, reconstruction efforts in the recent years have succeeded in restoring these churches, especially Baclayon. So yes, there are still a lot of things you can see and do in Bohol. Here are some of them. Baclayon is one of the most well-known Bohol tourist spots. Some of the hills in Carmen have been damaged by the earthquake. The viewing deck which people used as a vantage point had also been completely destroyed. However, there are literally hundreds of these hills scattered around the province, so you could still see quite a few of them intact. On the way to Carmen, don’t forget to stop at the road going through the Bilar manmade forest. This is a 2km-long stretch of mahogany that was part of a reforestation project. The trees — uniform in height — form a dense canopy over the road, keeping the area cool and giving a perfect backdrop for picture-taking. 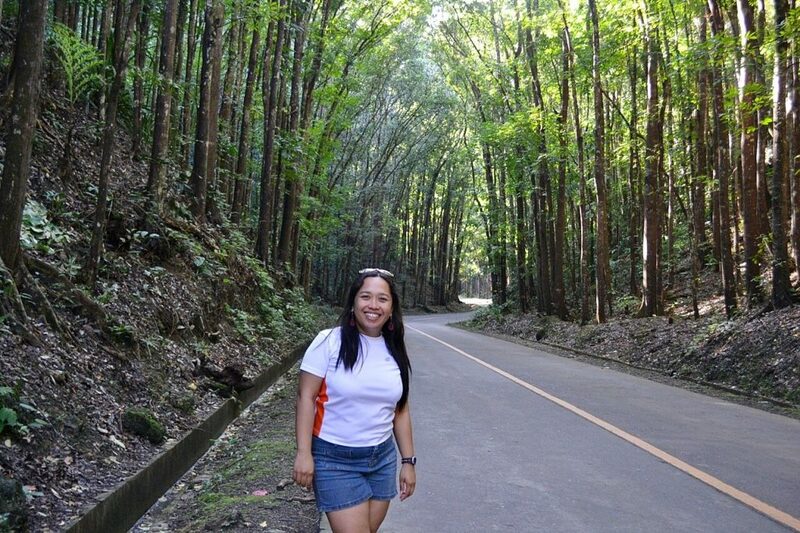 Check out the manmade forest in Bilar! While Loboc Church sustained major damage, the spirit of its multi-awarded Children’s Choir remains steadfast. Founded by musical director and conductor Alma Fernando-Taldo in 1980, the 20-strong children’s choir has performed all over Europe, including for Her Majesty Queen Sofia of Spain and for Pope John Paul II. When you get to Loboc, find out if they’re practicing. Hearing them sing is a huge treat. While you’re there, go as well on a Loboc River Cruise, as they’re back in business. They have trips the whole day (P100) as well as a night cruise (P350). You won’t see much along the way, but the trip is soothing and well worth your money. There’s live music at night, too. One of the best things to do in Bohol is to go to the Tarsier Sanctuary in Corella. Headed by former tarsier hunter Carlito Pizzaras, it’s an important project that ensures the survival of these adorable primates. The admission fee, which includes the tour, is only P60. Remember though: don’t touch the tarsiers! Included in any list of Bohol tourist spots is Panglao and the other beaches. Panglao has actually been called the Boracay of the south without the noise and the crowd (I don’t agree with these comparisons, though). There are a range of accommodation options available in Panglao, from backpacker type to posh and luxurious ones. 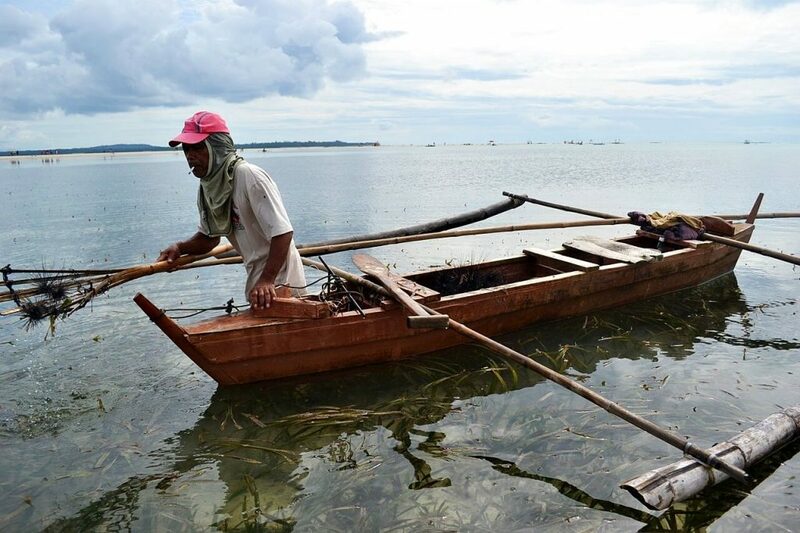 From Panglao, you can rent a boat to go to Virgin Island or Pamilacan Island. Virgin Island, also known as Pungtod Island, is mostly submerged underwater during high tide, but when it’s low tide, you can walk along the sandbar, drinking fresh coconut juice (P40) that enterprising vendors bring from Panglao, or eating raw sea urchin (P20 each), with or without vinegar. The view of the long strip of sand bar is definitely worth the trip. Pamilacan Island is a bit far, so it’s recommended to spend a night there and wake up early the next morning to (hopefully) see whales and dolphins around the island. It depends on the season though, so do your research beforehand. To save time, you can book an island hopping tour in Bohol. Danao is one of the best Bohol tourist spots to visit, too, especially for the adventurous travelers. 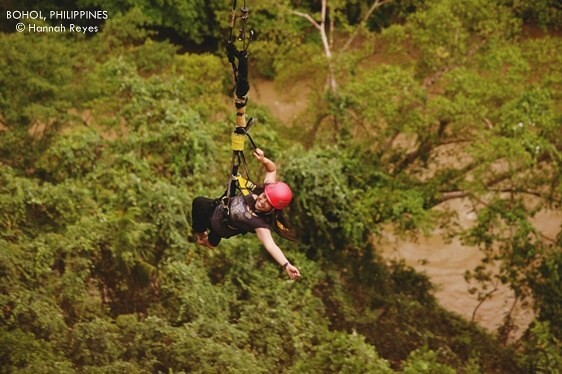 In Danao, for example, where you can enjoy a whole day’s worth of adrenaline-pumping activities. A must-try is the Plunge, the highest canyon swing in the Philippines at 180m (P700). A slightly tamer option would be the zipline (P350), cable car ride (P250), kayaking (P300), caving (P350), or root climbing (P400), among others. There’s also a restaurant inside, and for those who plan to stay overnight, basic fan accommodations cost P600/day. Bohol has undoubtedly been damaged, yes, and it will take some time before the province will recover. However, the beauty of the island remains and there are a lot of Bohol tourist spots that have now recovered. 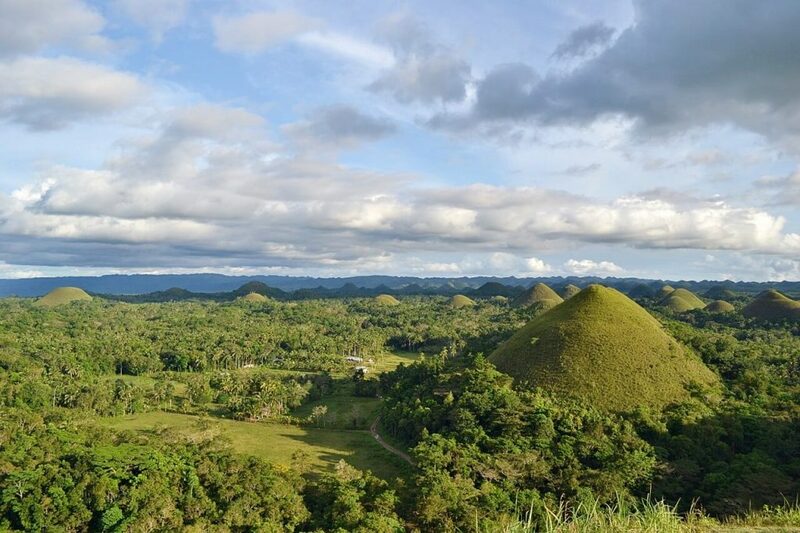 If you’re visiting soon, make sure to check out these things to do in Bohol. The island is small so you can do everything in a day or two. 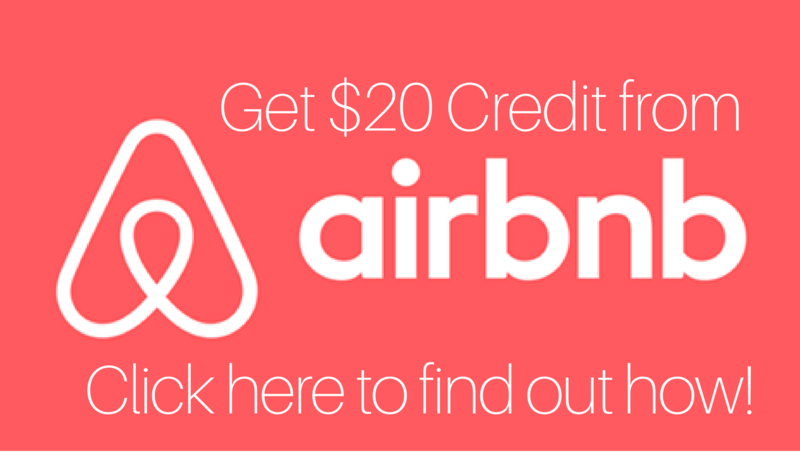 You can rent your own motorbike to go around, or use Klook to book your tours for convenience. 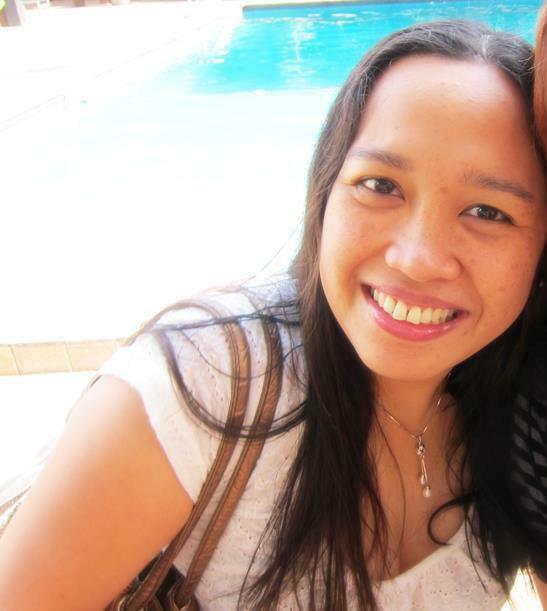 I, myself, would want to stay a few days in Panglao alone! Previous Post Solo Travel Tips: Sydney, Australia Next Post My Golden Chariot Review: What’s it Like to Take a Luxury Train in India? While it would take some time to rebuild Bohol after the quake, it is worthwhile to consider improving some aspects which would make Bohol more attractive to tourist, both foreign and local. One of this is road courtesy and discipline. It is very unfortunate that the major thoroughfares of Tagbilaran City are chaotic because of undisciplined drivers. I believe these drivers are not ignorant, bobo lang siguro. They just stop where ever they feel like stopping without thinking that they are obstructing the traffic flow. Another thing is the very noisy motorbikes usually driven by kids, which most are not yet qualified to secure driving licenses, so presumably driving without license. The ones to blame here are their parents and our traffic law enforcers. Are these people deft? If not, maybe it is correct to say that hearing is proportional to the size of the brain. The smaller the brain, the less the hearing. I saw some photos showing landslides and other damage around the Danao adventure park area. It’s possible that some of the activities there can’t be done anymore. @ Wander Shugah: I know. I enjoyed my visits there too. @ Dana Carmel: Yeah, we bloggers really intend to promote the stricken areas. Hopefully tourism income will help them recover. It saddens me to see and hear about the devastation in the Philippines, but these are some great tips for those who may feel discouraged from visiting in the midst of this disaster. I especially like the tip about trying to drop in on the Loboc Children’s Choir practice. @ Marisol: Yeah, our country will bounce back, but given the destruction now in Tacloban and other areas, it’s gonna take a long time. I’m really grateful there are so many people helping out all over the world! HI Aleah, I cried when I heard that Baclayon Church collapsed due to recent earthquake. It’s deeply said to lose such heritage treasure. But I’m glad to know that a lot of beautiful places in Bohol are left intact and that that there’s still a lot of things to see and do. I sincerely pray that our country will bounced back soon from all the recent tragedy and that the world will flock back to it to see its beauty and to experience the beautiful spirit of the Filipino people. 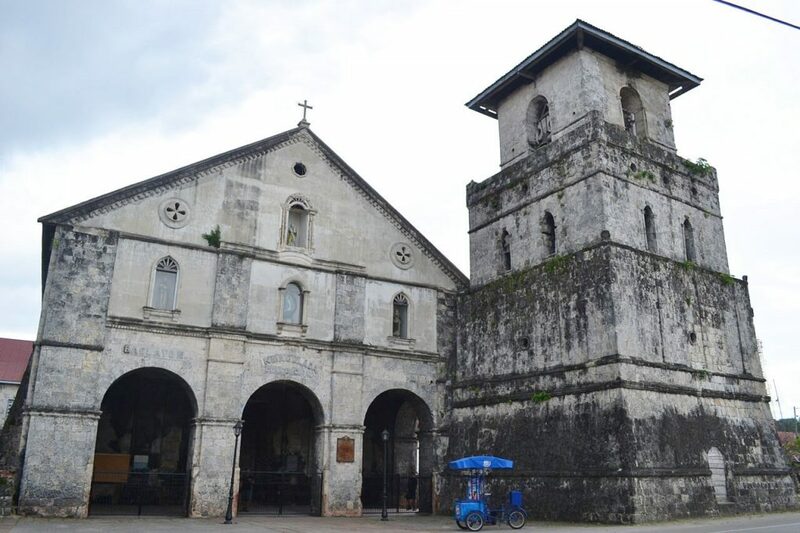 Such a tragedy those churches were there for centuries and now they are gone … good to read that there are still lots of things to do and see on Bohol. Your country has been hit hard by forces of nature lately, wishing all of you lots of courage. @ Photo Cache: Visayas will bounce back. It’s just so difficult now, when disasters come one after another. The government couldn’t keep up with it. Thankfully, my family’s safe. i’m really hoping that people will continue to make the visayas their travel destination. i hope that you personally did not have any family or friends in the affected areas of yolanda.